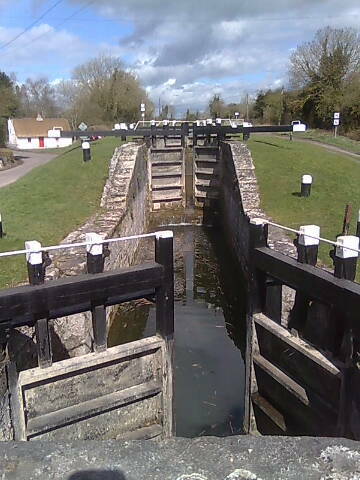 It has always struck me as strange that canal locks in Ireland have no ladders. While the obvious problem with having no ladders is that if there is an accident and someone falls into a lock they won’t be able to get out, but there are other issues. A ladder also allows a boat to be ‘locked through’ using only one person i.e. without a ladder in the lock a person cannot get off the boat to operate the lock. Therefore single handed boat users have to rely on the lock keepers to operate the locks for them, but lock keepers only work limited hours. 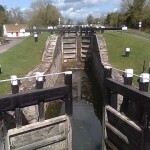 It is interesting to note that nearly all British locks have ladders. I noticed this problem when my wife and I were sailing on the Ballinamore canal in County Leitrim a few years ago. All these locks are operated by push button control panels located a few meters away from the lock. Once when we were using a lock, my wife was sailing, she dropped me at the jetty while she sailed the boat into the lock. I operated the lock using the control pad. But because some debris got stuck under the lock gate, the lock could only half fill with water and the boat was stuck, but because there was no ladder, so was she. I rang the lock-keeper and he came and fixed the problem. But a ladder in the lock would have been a great help.